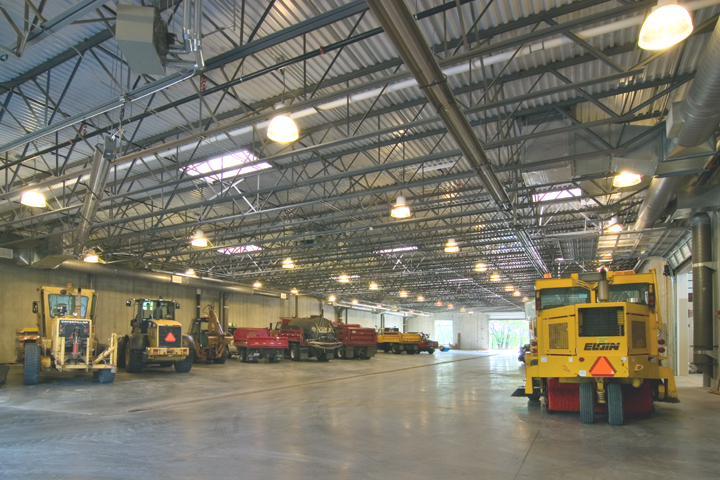 Otsego Public Works Facility — OERTEL ARCHITECTS, LTD. This project includes the design and construction of a new 32,750 square foot public works facility. There is 18,300 square feet of vehicle storage space, 2,300 sq. ft. vehicle maintenance bay, a 1,200 sq. ft. welding bay, a 700 sq. ft. tool crib, 1,650 sq. ft. wash bay, a sign shop and 4,300 sq. ft. of office space, which includes employee locker rooms and a multipurpose room. The second floor is currently unoccupied and has an additional 4,300 sq. ft. of office space. City Hall is planning on relocated their offices to the second floor of this facility in 2012. The City toured a number of our other public works facilities. 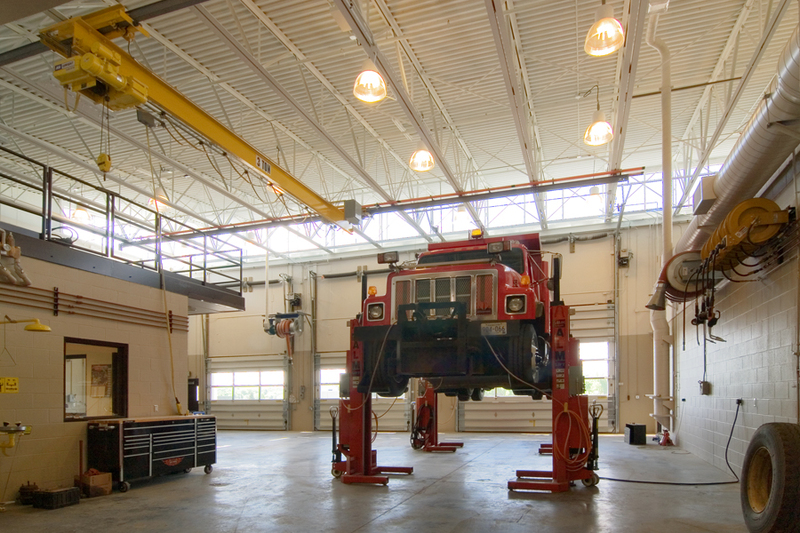 The one feature that stood apart in all of these facilities was the emphasis on natural light, especially in the shop, maintenance and vehicle storage areas, areas which have been largely neglected in years past. 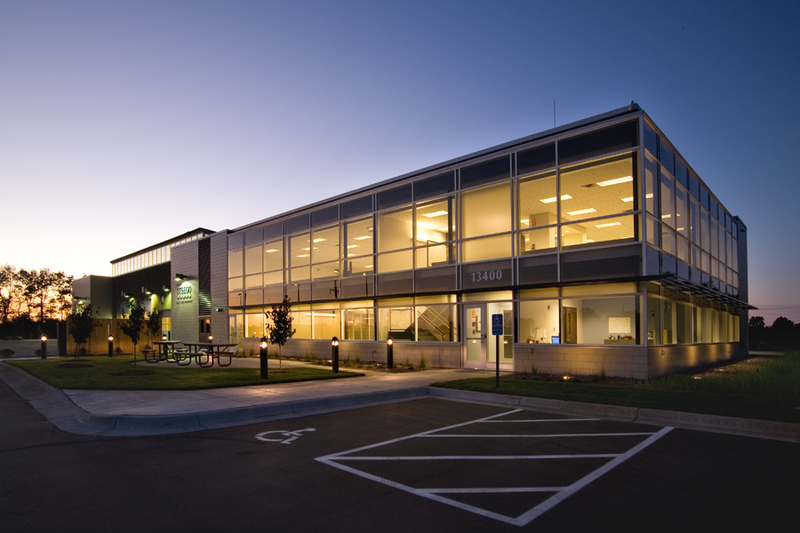 Incorporating this aspect was one of the driving forces for the final design of the facility.